After the station equipment has been mechanically installed, electrical connections must be made. These include making power supply connections, connecting antenna coax cables, system cables, grounding cables, and telephone lines. The Nucleus Advanced Control station cage is equipped with a single ground lug located on the rear panel of the cage. Connect this lug to the site ground point as shown in Figure 7-1. 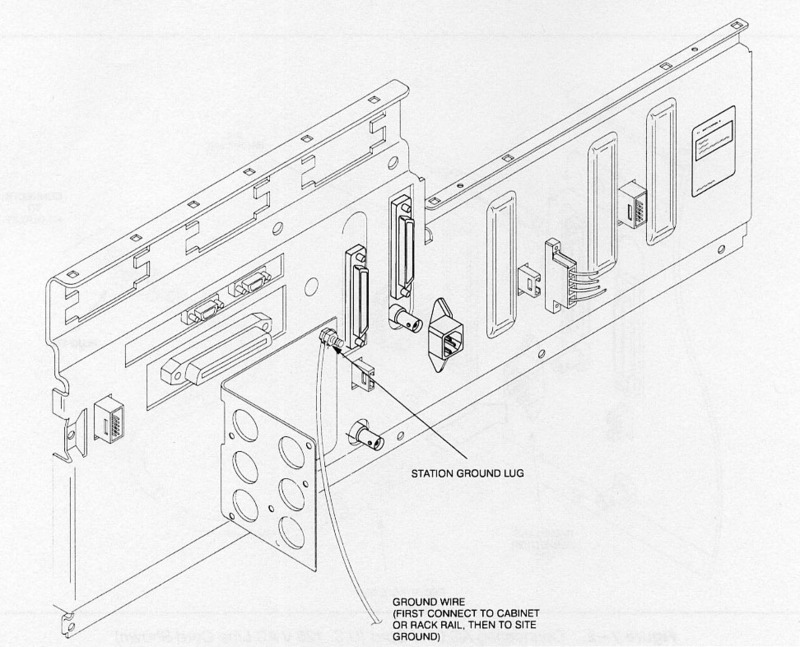 This manual can be ordered from the Motorola Parts Division at 1-800-422-4210.